This best cheap cooler guide is probably one of the most practical articles that we’ll do. Let’s be serious about something, after all: to the average person, spending several hundred dollars on a cooler is a bit, uhh, wack-a-doo. Crazy. Insane. But, we’re not ‘average’ people. We’re fisherman ourselves. Hunters. Boaters. Outdoors people. We know what it’s like. And we’ve been there and spent way too much money on way too many things. A lot of which probably aren’t half as functional as a good cooler. Like we said, though, this is an article for you practical folks out there. Sensible folks who see the craziness on dropping a load of cash that’s probably a month’s wages in many places across the globe. We’ll review what are – in our opinion – the best cheap coolers and best affordable coolers (which are not the same!) currently on the market. And make no mistake – these coolers still perform. In our expert eyes some of them are the best value coolers out there. 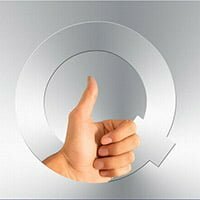 Our criteria naturally focuses on quality and functionality/performance, but we’ll also consider brand name and manufacturing origin. We’ve included a range of different models and sizes, so if you’re looking for a specific design or size at a great price, you’ll very likely find something to whet your whistle here. Value, after all, is a universal commodity. This is one of the most highly-rated value coolers on Amazon (read customer reviews right here), and is our personal favorite for ‘small’ affordable coolers (12-quart, 10.5” x 10.5” x 10.5” cube design). 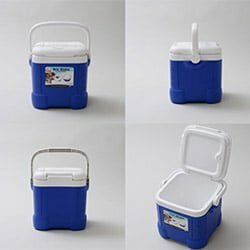 For a small, very affordable cooler, it is packed with functional and well-thought out features like a recessed lid designed to hold bottles upright, a dry storage compartment built into the lid, molded corners on the bottom for increased stability and durability, and a curved-wall shape that makes it comfortable to carry if you’re holding it up against your body. The best thing about this cooler of course, though, is that it downright performs. 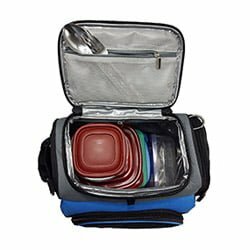 From the lid to the handles to the side walls, it is quality built and works absolutely perfectly as a day trip or lunch cooler. It’s not a premium roto-molded cooler so don’t expect it to hold ice for more than a day or so, but for an afternoon’s use you’ll be pleasantly surprised at the performance. Coleman 48-quart – The Best Affordable Cooler ? This is Coleman’s classic, timeless design that has been around for decades. At 48-quarts, it’s been named the best affordable cooler by so many of our readers. It doesn’t have much along the lines of super fancy features, but it’s just a simple, no-frills cooler with quality construction that makes it one of the best values for the size range. In the last couple years Coleman has actually made some fairly significant improvements on the traditional design and construction, such as adding Thermozone insulation that is free of CFC/HFC’s. At 26” x 14” x 14.5”, it is the perfect standard, mid-size cooler. 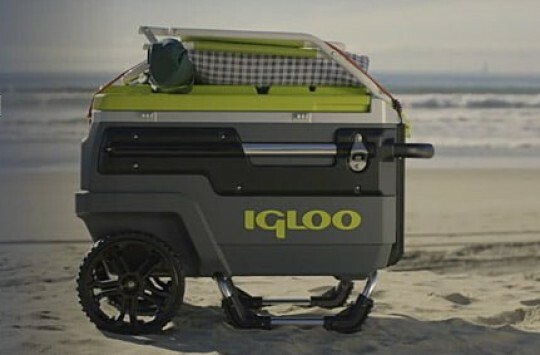 Not quite a personal/picnic cooler and not a bulky behemoth that will take up half of your car, it’s best used for throwing in the boat or car/truck/van for an afternoon’s use or short camping trip. The two-way flip up handles are great quality, and will last for years and years. This is easily our pick for a best value cooler when it comes to large ice chests. 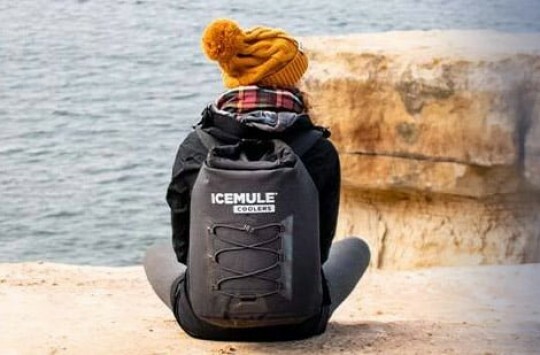 It is quality built, has some super functional and well-designed features, and best of all, it really will hold ice for up to 5 days (in the proper conditions) – just as the name suggests. At 60-quarts, this is a big, beast of a cooler that will hold up to 82 cans with ice. The wheels are rugged and well-built, but don’t expect it to roll easily (or at all) over uneven or soft surfaces such as sand or dirt (especially when it’s loaded down). The extended handle is a fantastic feature, making it very comfortable and convenient to tow when your are able to roll it. Otherwise, it’s got two solid side handles for carrying, but you’ll definitely need two people to lift it unless it’s completely empty. It’s got four cup holders built into the hinged, two-piece lid. The split lid design is a smart feature, as it allows easy access while not letting a ton of air out every time you open it. This is a cool, super convenient little cooler bag that is loaded with zippers, pockets, storage compartments, and an array of neat, unique little features, making it an excellent day-tripping bag that can serve multiple functions. It’s actually constructed of super tough 600D polyester fabric, and has 8mm of foam insulation, so it will certainly get the job done as far as being able to maintain ice and keep things cold (or hot). The elastic mesh side pockets conveniently hold standard 750mL bottles of wine, and there are pockets and storage compartments galore to stash all your little accessories and condiments in. At 11” x 10” x 8”, it’s a convenient size that is not at all uncomfortable to sling over your shoulder and carry for long distances, even when fully packed. And lastly, one of our absolute favorite things about this little guy is the manufacturer’s warranty – 100% lifetime money back guarantee. This is another great little bag/backpack cooler that is perfect for day hikes, when you want to pack in some food and drinks and have a nice lunch at your destination. 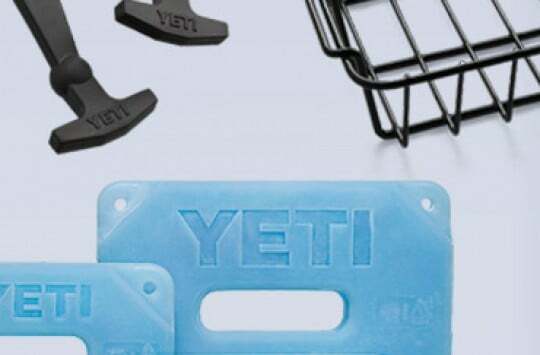 It is a very well-selling and well-reviewed product (on Amazon), and in all honesty we’re a little surprised that more manufacturers have not put more effort into the backpack cooler market. So many times you want to pack in a nice lunch and some cold drinks to enjoy after a walk or short hike, but with a traditional backpack of course you can’t really take much with you other than a peanut butter and jelly sandwich. The padded straps make it super comfortable to carry even when loaded down to it’s full capacity, which is about 20 cans plus ice (dimensions are 12.25” x 16.5” x 7.75”). As a dual-functioning cooler/backpack, it’s naturally got plenty of little zipped storage compartments, as well as two mesh side pockets for carrying larger bottles of wine or soda. Thumbs up for OA Gears’ product, it’s our Best Value Cooler in the cooler backpack category. This is soft and really cheap cooler bag, that is just about the most inexpensive option you’ll find anywhere. There’s not a ton to say about this one, other than it’s your best bet if you’re looking for the absolute cheapest cooler/cooler bag out there. It’s combination of quality materials and construction are what made it a no-brainer to include on this list. Granted, you can find plenty of similar-priced coolers out there, but they’re going to be super poor quality that are constructed with the cheapest materials possible. The exterior is a durable 300D no-rip polyester, with a standard PEVA lining. EasyLunchboxes also make very inexpensive plastic food containers that are designed specifically to fit the cooler bag. The bottom line, of course, is that we created this best cheap cooler review specifically for those folks looking for the absolute top inexpensive and cheap coolers, but not wanting to waste time and money and useless junk. Each one of these coolers performs and will be well-worth the money spent. And best of all, they won’t ‘freeze-up’ your bank account. (Sorry, that is a terrible pun… we know).